In October 2018, the "SUPPORT for Patients and Communities Act" was signed into law. This sweeping bill institutes a number of initiatives to address America’s opioid abuse epidemic—a crisis that claimed the lives of more than 40,000 people in 2016. Included in the bill is an electronic prescribing requirement for controlled substances, and the deadline to comply is January 1, 2021. This federal legislation follows significant momentum at the state level, where more than a dozen states have mandated electronic prescribing for controlled substances (EPCS), with several others proposing similar legislation. To comply with federal and state EPCS laws, healthcare delivery organizations and providers must meet the DEA requirements for EPCS, which are very specific and require a detailed, highly collaborative cross-functional project plan. To help you understand the DEA requirements and achieve EPCS success, Imprivata has created this EPCS Ready online resource center. 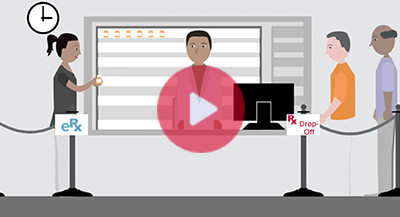 Here, you will find information to help you implement the right technologies and processes to fully comply with the DEA regulations and ensure a fast, efficient prescribing workflow that your providers and patients will love. The complexities of these and other DEA requirements for EPCS necessitate a robust, well-thought-out project plan that involves many stakeholders across the organization. There are a significant number of tactical steps that IT, clinical leadership, pharmacy, application/EHR teams, compliance/credentialing departments, and others must take together to successfully implement EPCS and realize its significant benefits. Imprivata Confirm ID™ is the fast, secure signing solution for EPCS. It is the most comprehensive platform for provider identity proofing, supervised enrollment of credentials, two-factor authentication, and auditing and reporting to help healthcare organizations meet the DEA requirements for EPCS. Imprivata Confirm ID integrates with leading EHRs and e-prescribing applications, and it supports the most complete set of two-factor authentication modalities, including Hands Free Authentication, to make EPCS as fast and convenient as possible for care providers. Imprivata has worked alongside hundreds of healthcare delivery organizations across the U.S. as a trusted, strategic partner. Imprivata provides expert insight into the DEA requirements and guidance on EPCS implementation best practices. Disclaimer: This website and the materials herein shall not be interpreted and/or used as legal advice for your company to be used in complying with Federal and State EPCS Laws and/or the DEA requirements for EPCS. Alternatively, it provides background information to help you understand the DEA requirements and achieve EPCS success. This legal information is not the same as legal advice, where an attorney would apply the law to your specific circumstances, so we insist that you consult an attorney if you’d like advice on your interpretation of this information or its accuracy. In summary, you may not rely on the information on this website or the materials herein as legal advice, nor as a recommendation of any particular legal understanding.